Apartment Grand Panorama I Nendaz Station Apartment block "Grand Panorama A-C", built in 2005 In the resort, 600 m from the centre. Raccard Apartments Raccard Apartments is situated in Nendaz, 250 metres from the closest cable car station of the Traccuet Ski Area. WiFi and private parking are available free of charge. Alpvision Residences Pracondu price per day from CHF 164 . Apartment Haut de Cry Nendaz Station In the house: lift, ski storage. Golf course 18 km, ski sport facilities 800 m, ski bus stop 400 m. Free use of the indoor swimming pool (17 x 8 m) situated in the building next door. Hameau les Clèves price per day from CHF 273 . Bed & Breakfast Chalet Grand Loup price per day from CHF 275 Located 500 metres from the main ski lift, in the resort of Haute Nendaz, Chalet Grand Loup is a modern luxury chalet that overlooks the impressive Rhone Valley. The luxurious Bed & Breakfast Grand Loup Chalet opened in 2010 and all rooms have been decorated to first class standards. Edelweiss price per day from CHF 85 The Edelweiss hotel is situated in the Four Valleys ski area in Haute-Nendaz, next to the Tracouet cable car and the piste. Rooms in the Edelweiss hotel are furnished in traditional Alpine style and offer mountain or valley views. You can taste fine traditional cuisine in the restaurant and spend the Après Ski hours on the terrace, sipping aromatic mulled wine and enjoying the panoramic views of the Rhone Valley and the mountains..
Hotel Les Etagnes price per day from € 110 Hotel Les Etagnes is right next to the gondola lift in Haute-Nendaz in the Quatres Vallées ski area. 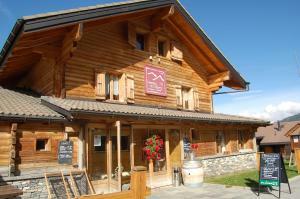 The restaurant serves international cuisine and has a terrace with panoramic views of the Valais Alps. Chalet Griffon price per day from CHF 150 Overlooking the Valais Alps, Chalet Griffon enjoys a peaceful location in the Domaine des 4 Vallées Ski Area, 300 metres from the Haute Nendaz Cable Car. It offers a traditional chalet with a balcony, a sauna and a hot tub. You can find a restaurant and a supermarket in the area within 200 metres. Nendaz ski resort, the welcoming neighbour of Verbier, caters for skiers and boarders of all ages and offers simple access to the 4 Valleys ski area at budget prices. Nendaz has a couple of north-facing, wide motorway-style slopes to cruise down that hold snow well even down to a low altitude of 1,400m. There are fantastic infrastructures for newbies and kids and for advanced skiers, there are considerable off-piste possibilities and access to some demanding bumpy itinerary runs. Around Nendaz there are roughly 250 kilometres of treking paths, a network of paths running from the orchards in the valley up to the high alps. A particular highlight is the excursion by cableway or mountain bike to the glacier terrain on Mont Fort, with its expansive view of 20 four-thousand-metre peaks, consisting of the Matterhorn and Mont Blanc. Owing to the dry atmospheric conditions of the Valais, ranchers constructed a system of irrigation channels all around the province centuries ago. Nendaz has the largest network of these ‘suonen’, a couple of which are still used, and 100 kilometers of footpath now run along 8 of them. As one of the largest raspberry and apricot growing regions in Switzerland, Nendaz has dedicated one of the local themed paths to fruit growing. Nendaz is located in the extensive ‘Four Valleys’ ski province ( Verbier, Veysonnaz, Nendaz, La Tsoumaz & Thyon) with more than 400 kilometers of ski pistes. There are as well off-piste adventures with 12 kilometers of cross-country ski paths, 100 kilometers of winter treking paths and 40 kilometers of showshoe routes. The terrace of Nendaz, ranging from 1300 - 1400 meters in altitude, commands a spectacular view of the Bernese, Valais and Vaud Alps. A contemporary holiday resort has grown up all around the centre of this beautiful old Valais town with its classic timber houses, barns and grain stores. Siviez, couple of kilometres to the south in the Nendaz valley, as well belongs to this community. It is from time to time also called ‘Super Nendaz’ and cableways run from here to Mont Fortress, at 3330 m the highest peak of the ‘Les 4 Vallées’ (Four Valleys) ski resort. Nendaz offers a richly diverse children’s program and has been rewarded the ‘Families Welcome’ seal of high quality. There are child-minding infrastructures for toddlers; toy rent; craft programmes; footpaths appropriate for pushchairs; and parks: really every thing for our smaller guests. 9. Take exit 25-Conthey toward Ardon/Vétroz. 10. Keep left at the fork, follow signs for Zone industrielle. 11. Turn left onto Bretelle Autoroute. 13. Turn left toward Route des Ecussons. 14. Take the 1st right toward Route des Ecussons. 15. Continue straight onto Route des Ecussons. 16. Continue onto Route de la Printse. 19. Turn left onto Plan Fey. 20. Continue onto La Martenettaz. 21. Continue onto Le Crèvey. 22. Continue onto Les Tzejas. 23. Slight right to stay on Les Tzejas. 24. Continue onto Imp. du Cleusy. 25. Continue onto Ch. de Sornard. 26. Turn right onto Ch. du Bassin. 27. Slight right onto Route de Sornard. 28. Continue onto Ch. de la Crêta. Ski resort Adelboden-Lenk, number of ski pistes: 176. 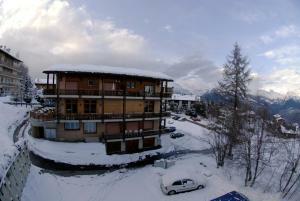 35 km from town of Nendaz. Ski resort Adelboden, number of ski pistes: 104. 38 km from town of Nendaz. Ski resort Aeschi, number of ski pistes: 8. 59 km from town of Nendaz.